It has been seven decades since the independent state of Pakistan was carved out of British India, yet the country is still in pursuit of a suitable constitutional framework. Over this period of time, no other country has experimented with so many different constitutional forms, from parliamentary democracy to presidential form of government, to outright military regimes. This book analyses constitutional development in Pakistan from its inception to present times. 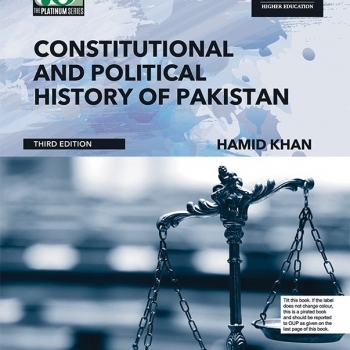 It provides a case-by-case account of constitution-making in Pakistan, with the inclusion of all pertinent documentation. Constitutional developments have been explained in the context of social and political events that shaped them. The book focuses on constitutional and political history, and constitutional development concurrently. It includes a liberal humanitarian reading of the travails of lawmakers and the role of generals, judges, politicians, and bureaucrats in the implementation of law.